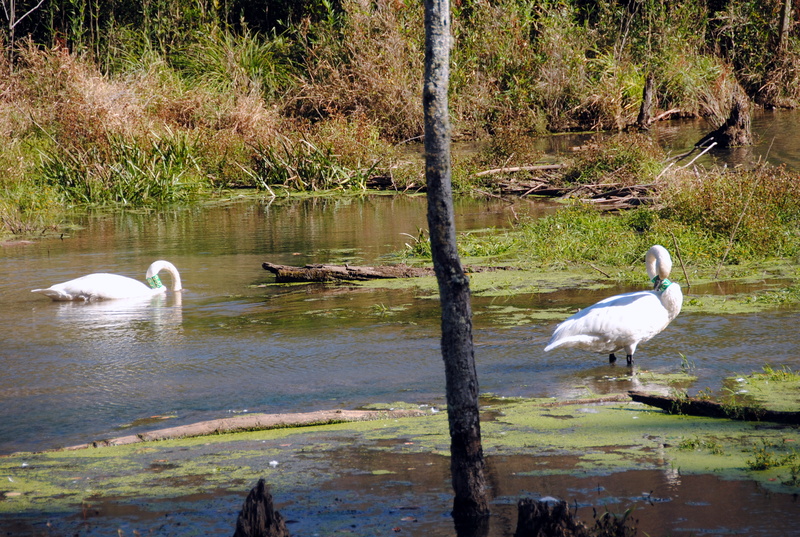 Driving along in Arkansas and suddenly there’s a pair of swans. Of course there is. I’ve never seen swans that aren’t bought for a man-made lake or a movie wedding so this was very exciting! A good while was spent sitting in the grass watching them, smiling gleefully, and learning that they’re incredibly bendy animals. Who needs PBS? What animal traits do you find impressive? Which animal(s) could you watch for hours? Definitely one of the best post titles of all time and what is the green “necklace”? The green necklace is a marker. Even though they’re wild, they’re tracked by some gov’t agency.